Looking for staff lockers? We have a great selection for your employees right here. 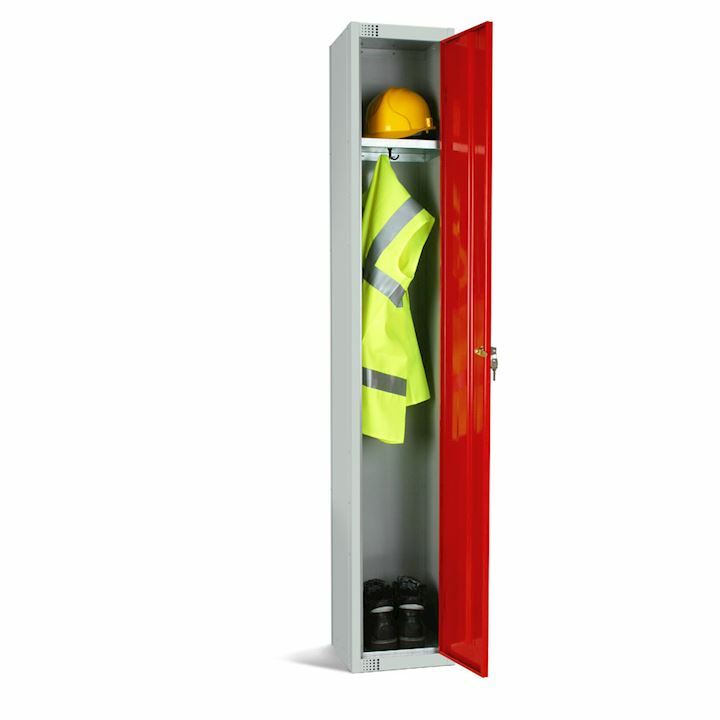 Suitable for on site visitors or a large business with many employees. 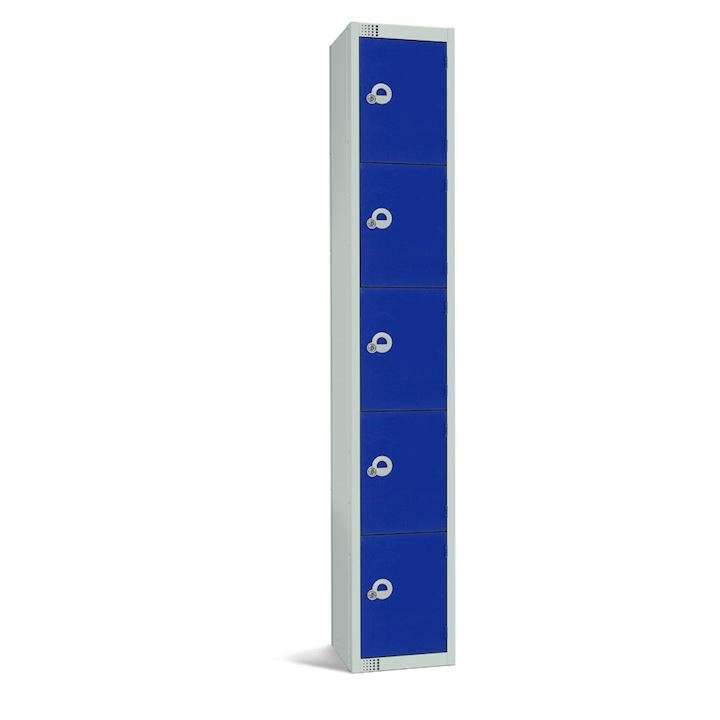 Staff lockers are the perfect choice for any school, hospital, government department, call centre or office. 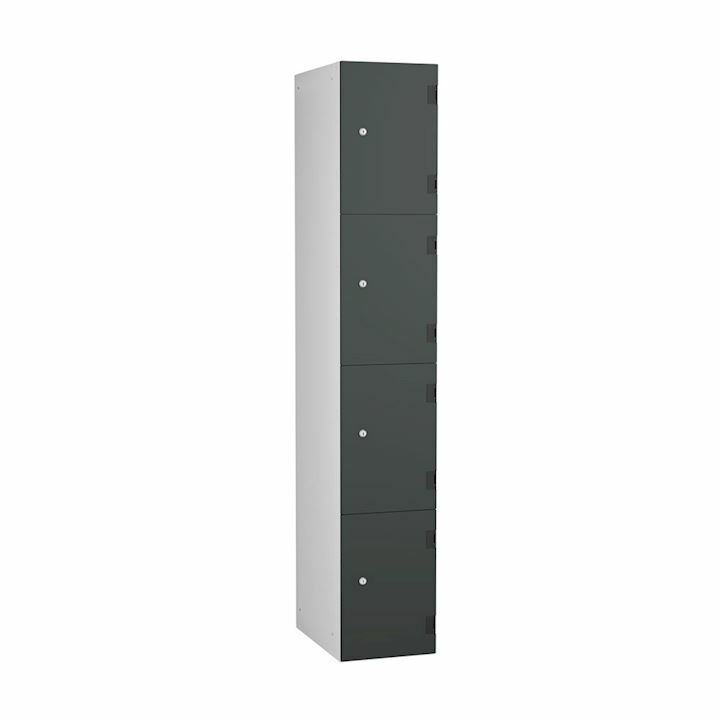 When choosing lockers for your staff be sure to consider their storage needs. 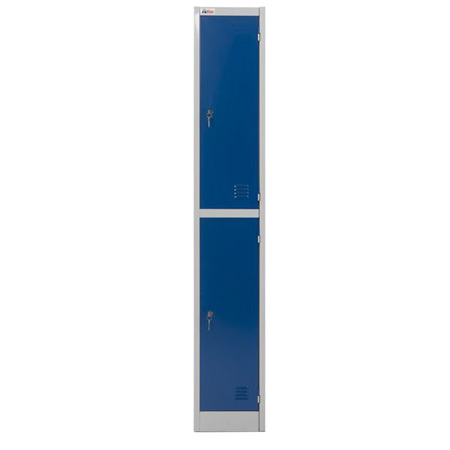 Single door lockers provide ample space for hanging coats and work wear clothing. Whilst the interior hat shelf provides separate storage for hats, bags or shoes. 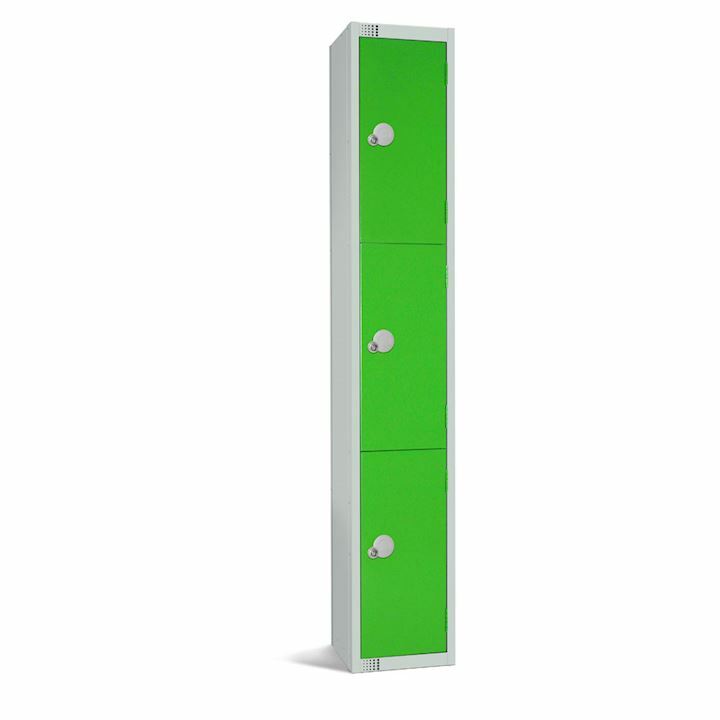 If you want a cost effective solution to store handbags, rucksacks or small items, then our three door locker is sure to fit the bill. 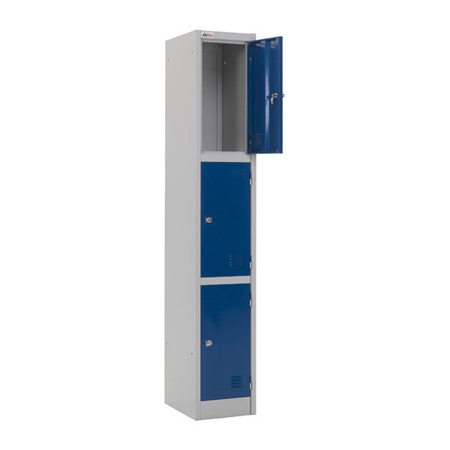 Nowadays mobile phones have very good integral cameras and if you need to protect your environment from illegal photography, then our mobile phone lockers provide the perfect sanctuary for storing staff or visitor phones. 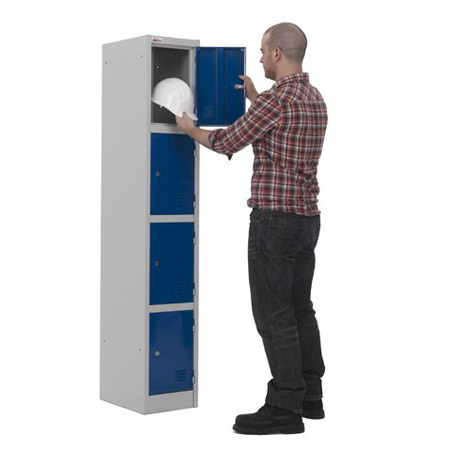 Buying staff lockers is one of the most important buying decisions for keeping employee possessions secure. That's why our range includes different locking options to suit the level of security required. Choose from standard cam locks to combination locks. 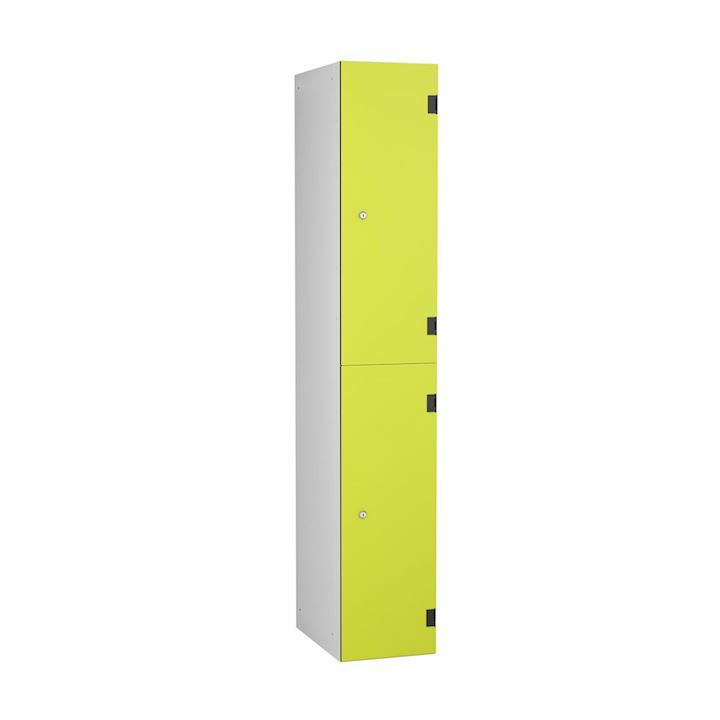 Not only this, our staff lockers can be made from different materials dependant on budget and style. You might want to consider timber effect lockers. 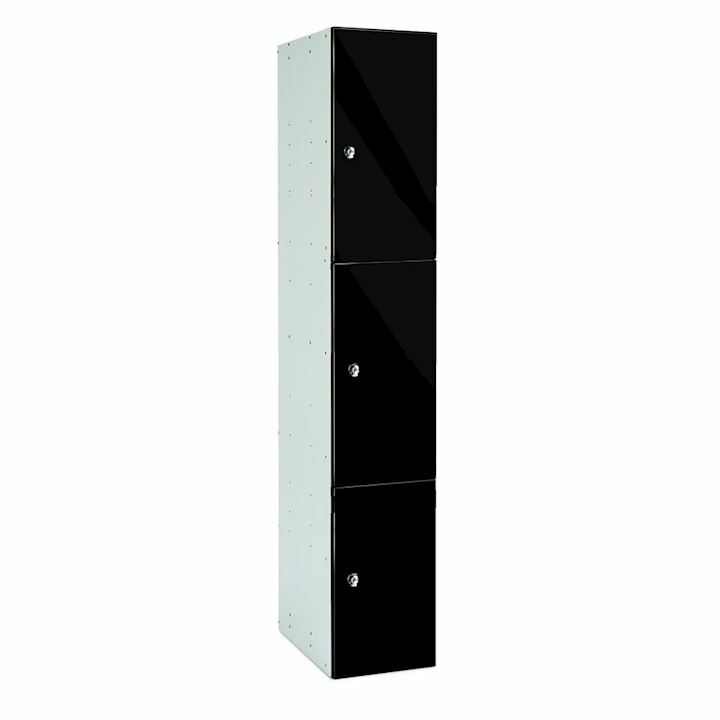 Or our high gloss lockers for a more upmarket feel. 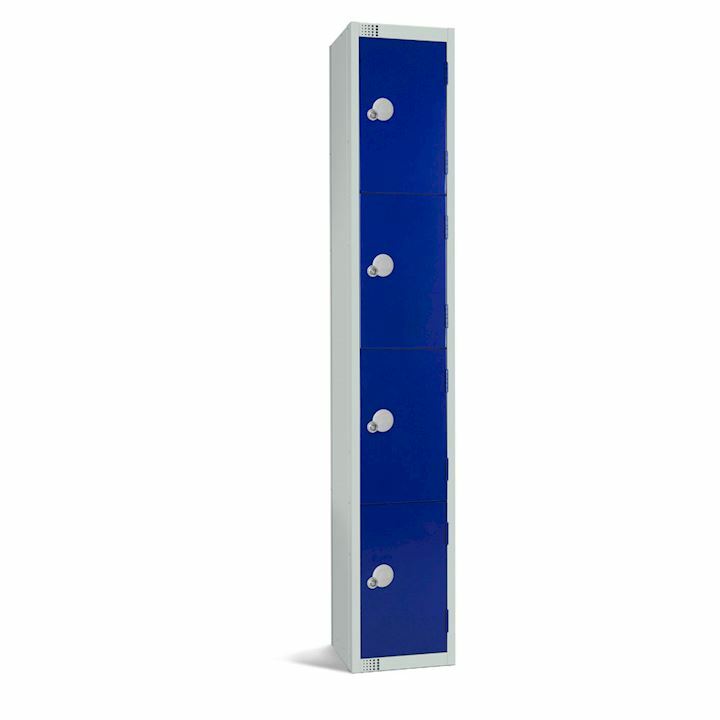 If your reason for staff lockers is to reduce staff pilfering, consider our insight lockers for all round visibility of contents. Our quick delivery range caters for last minute requests. 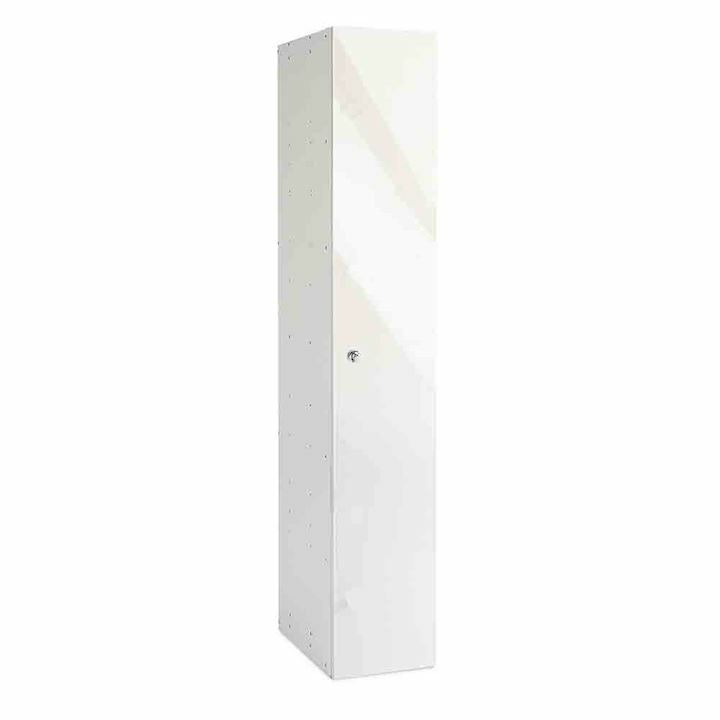 Delivery can be made within 5 days throughout the UK. 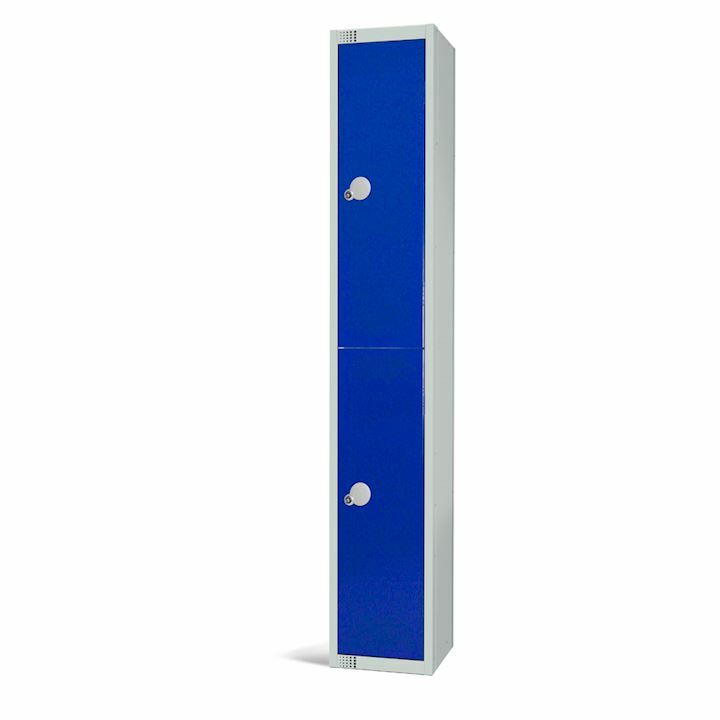 Not only do we offer lockers in a range of sizes and colours, we also offer the often forgotten locker accessories. Plastic number plates and matching key fobs are available. 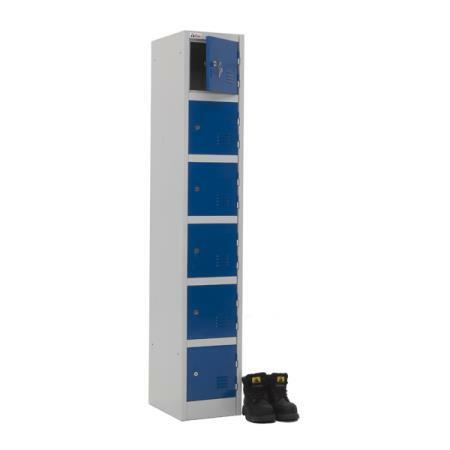 These are items which are absolutely necessary so staff can identify their own locker. 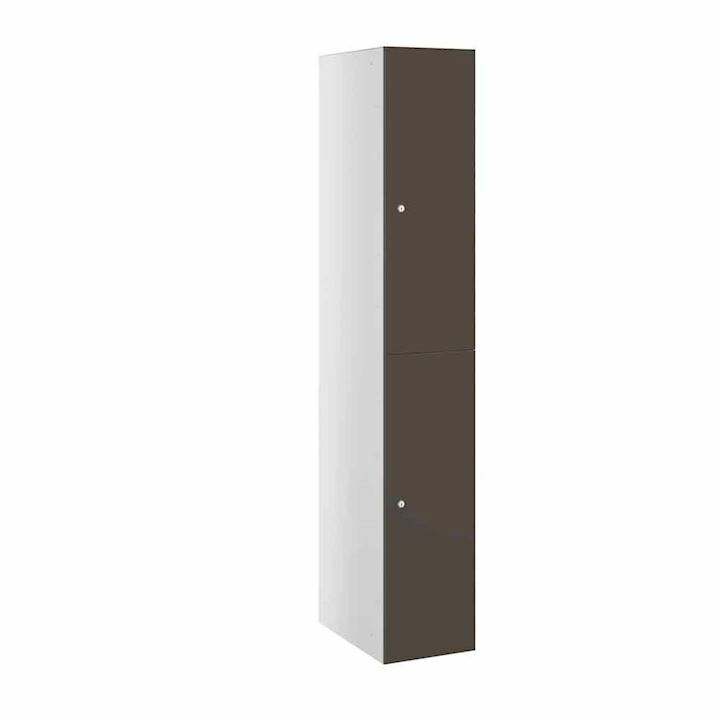 Especially useful in a large bank of lockers. All in all we are confident we have all the options covered. 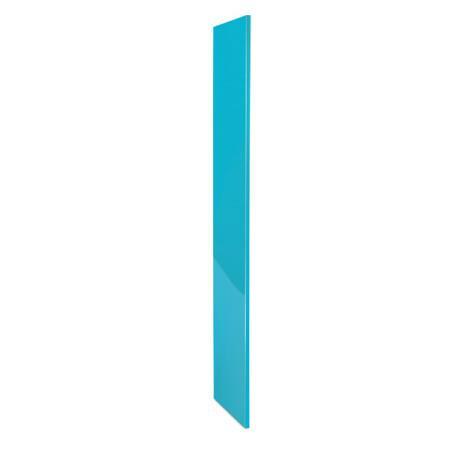 So why not give our team a call on 01924 240291 or simply order on line.